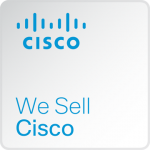 Cisco creates leading products and key technologies to make the Internet more useful and dynamic. – broadband and content networking. Acenetworks, as part of Cisco’s partners can provide, install and configure the infrastructure needed for your company. Our certified technicians can consult, design and implement the correct solution for your requirements. Working along with Cisco’s support center, our staff can assist you in any problems you might encounter in any existing Cisco Installation. Any upgrades to your infrastructure can be easily made with trust and confidence by Acenetworks.